There are two main types of smoke alarms – ionisation and photoelectric – both of which work in different ways. Ionisation smoke alarms are best at detecting smoke from fast flaming fires. They contain a limited amount of radioactive source material that creates an electrical current which travels through ionised air. When smoke enters the detection chamber it interrupts the current and causes the alarm to sound. Photoelectric smoke alarms are best at detecting smoke from slow smouldering fires which are most likely to occur at times when people are asleep. They work using a light source and photocell – when smoke enters the detection chamber it interferes with the light beam which sets off the alarm. A typical ignition source for a smouldering fire may be a carelessly discarded cigarette or faulty electrical equipment. Photoelectric smoke alarms are best suited for bedrooms and living areas. They are also suitable for use near kitchens as they tend to cause fewer nuisance alarms than ionisation smoke alarms. Legislation across most of Australia stipulates that homes must have at least one smoke alarm, ideally located where people sleep. If a home has more than one storey, there should be a smoke alarm on each level. In New Zealand, Standard NZS 4514:2009 requires smoke alarms in bedrooms, living spaces, hallways and landings within each dwelling. Many fatal fires occur when people are asleep so it really does make sense for smoke alarms to be in every dwelling – whether mobile or permanent. In late 2011, the Northern Territory (NT) passed legislation relating to the installation of photoelectric smoke alarms in NT residences. According to the legislation all residential and movable dwellings in NT, including caravans and temporary accommodation, must have working photoelectric smoke alarms in place. When the legislation was introduced residents could continue using any existing ionisation smoke alarms until they cease functioning. In leased premises ionisation smoke alarms could be used until the lease expires or the premises is sold. I’d advise you to familiarise yourself with the various types of smoke alarms available and the legislation of your specific State/region/country. 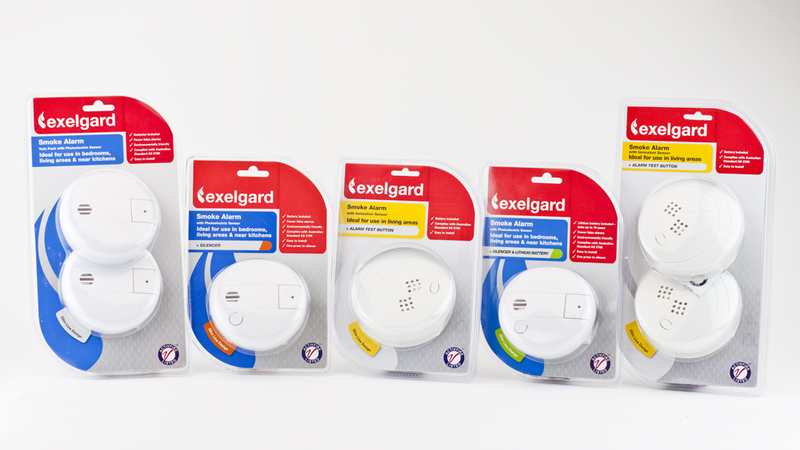 Wormald’s sister company Exelgard has put together this educational video which includes information on the key differences between ionisation and photoelectric smoke alarms. Once you have purchased your smoke alarms, it is important that they are positioned in the right place to have maximum effectiveness in the event of a fire. Exelgard has also developed an educational video on how to correctly install a smoke alarm – visit www.exelgard.com.au to view. This entry was posted in Fire safety products and tagged exelgard, fire safety, ionisation, photoelectric, smoke alarm by wormaldblog. Bookmark the permalink.